Super Bowl Sunday should be renamed National Junk Food Sunday, since it is the unhealthiest eating day of their year. It doesn’t have to be that way. Here are some great recipes from Food Matters. These 3 healthy snacks could score a touchdown at your Super Bowl gathering! 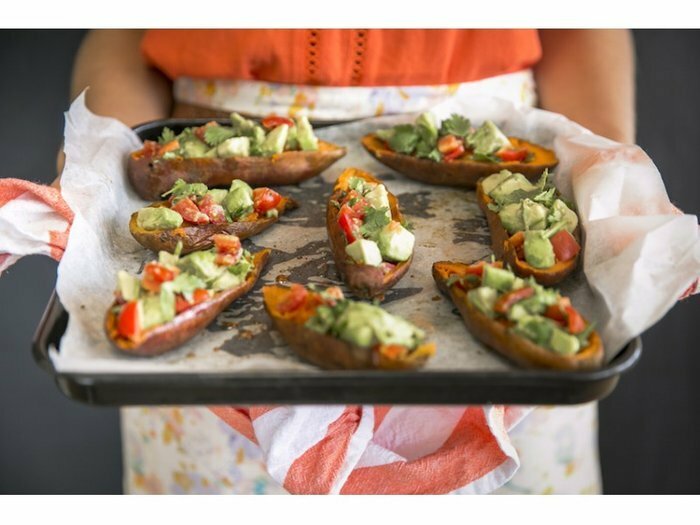 The ultimate indulging Superbowl Snack, healthified! We are telling you the truth when we tell you we haven’t compromised on flavor. Packed with nutrients, flavor and sure to fill you up! The beloved deep-fried onion bloom is a classic bar appetizer. If you’ve every enjoyed the “blooming onion” then you will love this healthier alternative! A great one to impress those guests. Who has been a lover of those tasty potato skin appetizers? Did you know that potato skins are often deep fried to be crispy? Why would you, when you can achieve the same delicious crispiness from baking them in the oven. The beauty of this recipe is you can top with any of your favorite healthy ingredients. We’ve topped ours with a zesty and refreshing salsa!